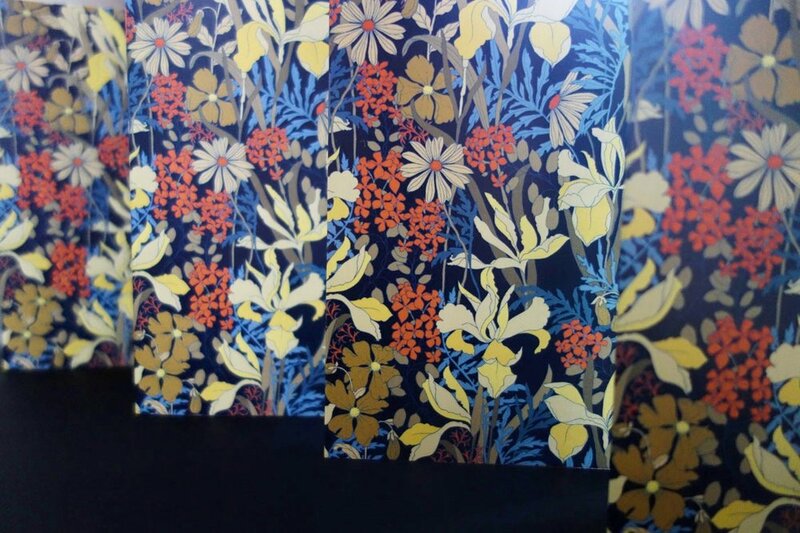 Leila is a textile print designer based in East London. Inspired by the English countryside, her work combines floral, natural and wildlife scenes. Leila now opens up her work with a collection of notecards, colouring books and journals for you to enjoy at home. Choose from 8 colourful, bold floral designs, printed onto lovely thick card. From a single card & envelope, to packs of 4, 8 & 12 cards. Available to download online, print, colour and enjoy at home. This series of drawings are exclusively available online from Leila Duly. 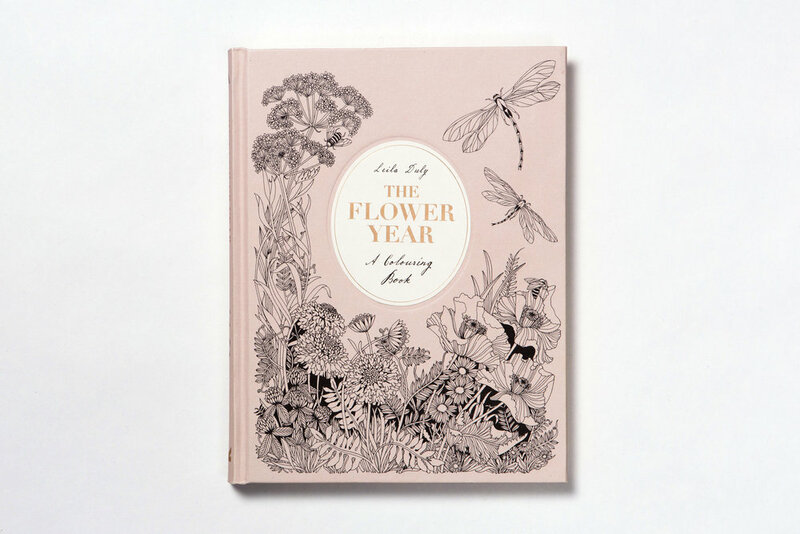 Leila Duly's new colouring book is a celebration of a year of flowers. Month by month, follow the progress of the seasons with intricate illustrations of flowers, birds, butterflies and other insects and small creatures to colour in, adding up to a year's worth of colouring enjoyment. Floribunda features 20 stunningly intricate illustrations of flowers to colour. Printed on high-quality card, each large-scale illustration can be coloured with a variety of media and can easily be removed for framing. The book has been released in over 12 countries including Taiwan, Korea, the USA and the UK. Colouring fans and botanical enthusiasts of all ages will love these gorgeous bouquets. This beautifully decorated and produced journal has 144 pages of premium-quality unlined paper, a ribbon marker and 37 illustration details for you to colour in. 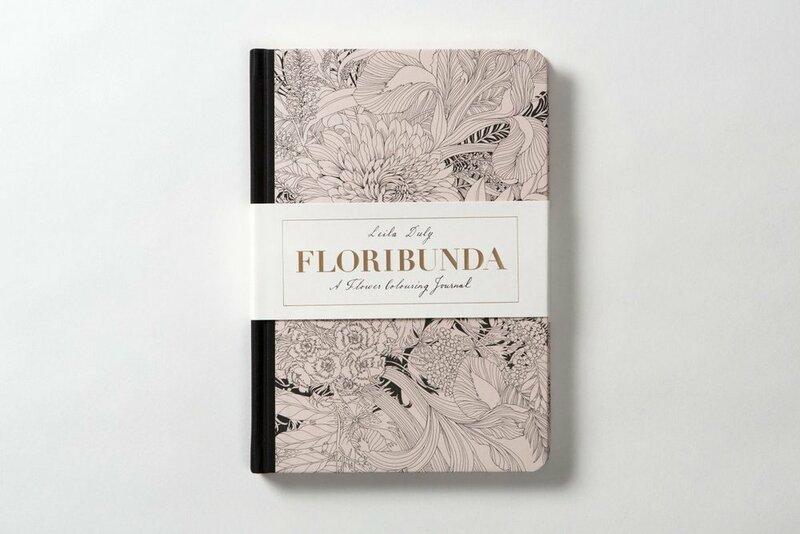 Let Leila Duly’s elegant flowers inspire your notes, doodles and sketches. Sign up with your email address to receive occasional news and offers from Leila. You've successfully registered for Leila's mailing list. Look out for news and offers in your inbox soon!